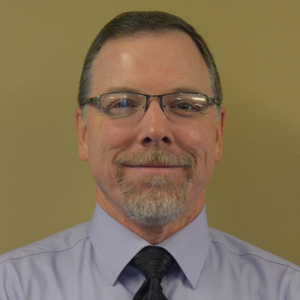 CEO / President of Westbrook Associated Engineers, Inc.
Jeff is the President / CEO and Chief Structural Engineer of Westbrook Associated Engineers, Inc. He holds a Bachelor of Science in Civil Engineering from Iowa State University in Ames, Iowa. As a leader he is passionate about working with diverse, energetic, and talented people that understand the value WAE can bring to a project. Jeff has devoted a major portion of his professional career to the inspection, design, construction, and forensic investigation of major heavy – highway civil engineering works throughout the United States. He currently advises a number of national bridge contractors on technical issues regarding bridge construction and temporary works while also serving as an expert structural forensic engineer on a variety of structural failures. Jeff is a member of the American Society of Civil Engineers (ASCE) and the American Railway Engineering and Maintenance-of-Way Association (AREMA). He is a registered Professional Engineer in the following states: Arizona, Colorado, Florida, Idaho, Iowa, Kansas, Kentucky, Michigan, Minnesota, Missouri, North Dakota, Ohio, Oklahoma, Pennsylvania, South Dakota, Utah, West Virginia, and Wisconsin. Jeff lives in Plain, WI with his wife Michele. Aside from hanging off the occasional bridge or two, you’ll catch Jeff off-roading in the mountains, working up creations in his wood shop, and officiating WIAA basketball games.